Canada’s modern postal system was founded on decades of institutional experience that occurred prior to Confederation in 1867. 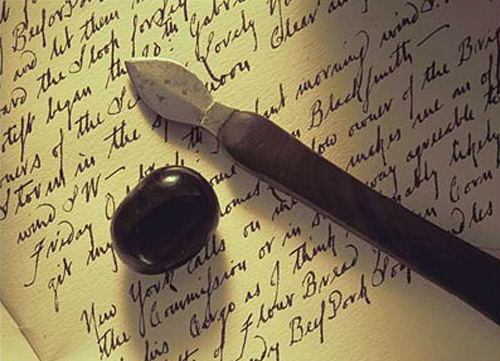 An even longer tradition of exchanging letters goes as far back as the era of New France (early 1700s). The early 19th century was a key period in Canada’s postal history. Colonists demanded and were given the opportunity to take charge of their postal affairs. This change was both a cause and an effect of the larger process of Canadian independence. It was all a part of the process of growing up and leaving the British behind. The settlement of British North America did not begin in the early 19th century but it grew considerably during that period. The population of the three maritime colonies of Nova Scotia, New Brunswick and Prince Edward Island rose from 80,000 in 1800 to over 500,000 by the middle of the 19th century. Lower Canada’s population doubled in number between 1825 (480,000) and 1851 (890,000). The population of Upper Canada increased by a factor of six, from 158,000 to 952,000. Settlements expanded beyond their borders, up the Saint John Valley, north and inland from Lake Ontario and Lake Erie, toward the eastern townships south and east of Montréal. The population of the countryside became more dense. Ports became towns, towns became cities. All sectors in the economy expanded, i.e. wheat production, coal mining, forestry, fishing, etc. The spread of settlements and the growth of the cities were significant, but the growing complexity of society was an even more important change. The need to communicate was on the rise. In the early 19th century, the spoken word was a powerful tool of communication. Oral reports of events travelled the grapevine whose centre was usually the market place or the tavern. Rumours of sinful goings-on were tossed about like hot potatoes at the church steps. In the close-knit community of a rural parish, whether Protestant or Catholic, no one could live beyond the pale of rumour. Yet, the written word was becoming more and more important in the daily life and culture of the colonies. Books were the source of new ideas. Increasingly, books became available to the public and private libraries of British North America. Newspapers were another source of the written word. Although the majority of the population in some areas could not read, public opinions freely expressed in print echoed throughout all levels of society. Dynasties of newspaper publishing interests emerged. 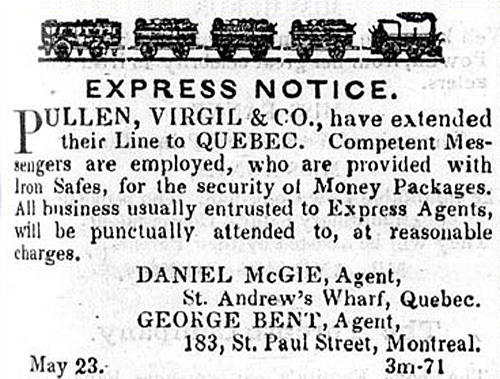 Advertisement from the Montreal Gazette, June 27, 1851. by the mid 19th century, express companies had come into existence. Their primary job was to carry money back and forth between the main centres of trade and industry. They also helped the postal system bind the colonies together. Before newspapers became widely available, letter writing was the main method of communication in Canadian society. Individuals played an important role in the process of letter writing and letter exchanges, a process that developed into the postal system. In this system, letter writers were either message carriers, message shapers or both. The primary way of getting private mail from one place to another was to entrust it to a traveller who was willing to carry it as a favour, hence the old-fashioned expression of mail “by favour.” Mail was carried by fur-trade voyageurs travelling in the Upper Country. Mail was put aboard ships sailing for Europe on the person of an official or colonist going to do business there. Merchants exchanged letters, credit notes and inventory orders with suppliers across the Atlantic via agents in New York. Their agents in New York ensured that the outgoing mail was put aboard ships for Britain and they also made sure that the incoming mail was sent on up to Canada or to the Maritime colonies. Within the colonies, bishops and priests handed their letters over to couriers. Sometimes, their correspondence was sent to the address of a middleman handling mail for them rather than to a post office. Thus, the early postal system was an informal network of letter writers and their delivery agents all linked to each other from one port to the next or along trade and transport routes. This was not new to the Canadian colonies. The system probably dates from the 14th century when Italian merchants first devised a decentralized system of commercial control and information distribution. It became the basis of business information processing throughout the world economy for the next five centuries. The habit of sending letters via another person was only one aspect of a larger tradition in sending and making letters. Letter writers fashioned their own writing quills out of goose feathers. There was no delete button, as with a modern computer, to remove unwanted words. Mistakes had to be scratched off the page with a sharp-edged eraser. Once the letter was written, it was hand folded-envelopes were not used then-and sealed. Sealing wax, usually red (black was for funerals), was melted by candle flame onto the line of the fold. Then a personal imprint was stamped on the wax. During every step of the process the letter writer had a hand in the process. When the letter arrived at its destination it was passed from hand to hand and sometimes read out loud to the family. On occasion, notes were jotted on the outside of the cover as the letter headed to the next recipient. A letter was a living thing, a precious thing. Was it too precious for Her Majesty's Mails? The short answer is: not entirely. Throughout British North America, a formal postal system existed. Its early history was marked by the establishment of a post office in Halifax in 1754; the introduction of postal routes and post offices in the St. Lawrence Valley following the conquest of New France in 1763; and, the appointment of key officials in charge of the system. The head official of the colonial post office was the Deputy Postmaster General. He appointed rural postmasters as well as clerks and letter carriers to the post offices in Montréal, Trois-Rivières and Québec. (His counterpart in Halifax did much the same thing for the Nova Scotia postal service.) He had an annual salary of £500 pounds, a £30-pound stationary allowance, and a portion of the postage fees charged on newspapers. This amounted to the princely sum of almost £4000 per year, making him one of the highest paid colonial officials, making him a perfect target for those who were anti-British. Assisting the Deputy Postmaster General were three clerks, a watchman and eventually an accountant and two surveyors, one of whom was stationed in Upper Canada. Around 1840, there were as many as 400 country postmasters offering service to customers in Upper Canada and Lower Canada. The amount of mail in the postal system was around 1.8 million pieces. Probably an additional 231,000 letters were mailed free of charge on an exemption available to sailors, military personnel, and government and post office officials. An equal amount of mail (roughly two million articles) travelled outside the system. “The unofficial correspondence of the country, according to a postal commission of enquiry, must have nearly trebled” between 1828 and 1840. As the first half of the century wore on, there was more and more mail, official and unofficial. Security procedures for Her Majesty’s mails were not especially tight. For the informal mail system, security probably did not exist. On their travels, the post office bags were opened repeatedly by the individual postmasters, even if the bags were padlocked. To find the mail addressed to his locality, a postmaster had to fumble his way through packet after packet of mail in order. Then he dumped his own packets into the bag. It was only along the long postal route from Fredericton, New Brunswick, to Amherstberg, Upper Canada, that mail going all the way was kept in a separate bag, or portmanteau, that was known as a grand sac des malles. Another bag, the “way bag” or sac de route, carried the mail for the various post offices along the way. The grand sac was not supposed to be taken into post offices along the way, as the contents of the packets were not supposed to be tampered with, although sometimes mistakes were made. …both letters and papers in consequence of continued rains from which the Bags could not be effectually defended, suffered very much.…Many of the bundles of letters were so completely saturated with the water-and ground by the unavoidable friction produced by a conveyance of more than 800 miles [1200 km]-that they were little better than a Mass of pulp upon being taken out of the bags! We used our best exertions to dry the letters, and put the broken portions together, but many were rendered useless. Various measures were taken to protect the mails during long overland treks. Damage due to friction was reduced by bundling the mail in tightly tied stout brown wrappers that were then tightly fitted into the mailbags. The bags were laid on beds of straw to prevent them from rubbing against the wooden floor of the wagon or sleigh. The mailbags were supposed to be of waterproof material. Heavy leather portmanteaux were more effective as were iron and tin boxes. In some cases, the mailbags were covered with tarpaulin cloth as protection from weather. Waterproof materials such as oilcloth, India rubber and painted sheepskin were used. One disadvantage of sheepskin was that it caught fire easily. Oilcloth was held in good esteem when it was learned that a letter mailed in this material escaped damage after a shipment of mail accidentally went through the ice along the Saint John River in 1842. Mail travelled through the colonies of British North America via the post office and a network of unofficial messengers and agents. Both relied on common systems of transport. Mail was exchanged with Europe across the Atlantic via both Halifax and New York. Because of the massive concentration of ships in New York harbour, mail between the Europe and British North America flowed through there. Mail from Toronto, Montréal, and even Saint John, New Brunswick, was sent via New York. The Halifax packet ships that carried mail between Nova Scotia and Britain also ran between New York and England. Halifax was merely an extra stop along the way. Map of the Grand Mail Route in 1839. The route ran from Amherstberg at the southwestern tip of Upper Canada (Ontario) all the way east to the port of Halifax. Once the mail for New Brunswick and Upper and Lower Canada arrived in Halifax, it was shipped to its destination by steamer in summer and overland in winter. Delays occurred. At Halifax, for example, letters for Upper and Lower Canada were placed in one set of bags. Letters for New Brunswick and Nova Scotia were placed in another bag. New Brunswickers had to wait until the Halifax postmaster and staff had the time to separate the Nova Scotia mail from theirs before they could expect delivery. Mail reached New Brunswick from Halifax overland via Truro, Nova Scotia, and, increasingly, across the Bay of Fundy aboard the Saint John-Digby ferry. In 1821, a schooner was built, “a superior vessel expressly for the comfort of passengers and safety of the mail.” Seven years later, a steamboat was introduced along this route. In 1830, plans were underway to build a new boat to be fitted with a stronger 40-hp steam engine. Montreal segment of map of the Grand Mail Route in 1839. When looked at in this scale, all postal communication seems to converge upon Montréal. The overland journey between Fredericton, New Brunswick, and Amherstberg, Upper Canada, at either end of the major mail route was difficult. The route was 1900 km (or 1200 miles) long. There were 10 main stopping places and many lesser ones. It took 55 hours just to carry the mail from Fredericton to Lake Témiscouata, a distance of 343 km (230 miles). Another 40 hours and the mail bags were in Québec (240 km/160 miles) where they were put aboard a steamer for Montréal or on a specially designed coach that travelled up the St. Lawrence seven days a week. Mailbox receptacle, used aboard the Lady Sherbrooke, a steamer that navigated the waters of the St. Lawrence during the 1820s. Steam navigation and spectacular improvements to inland navigation improved considerably the transport of mail along the St. Lawrence and Great Lakes waterways. A specialized steamboat mail service was introduced and a clearly identified departmental mailbox became a familiar feature aboard the boats. Beginning in 1847, six conductors, each with his own steel cancellation stamp, accompanied the steamer mail between Montréal and Toronto. At ports of call, the mail was carried from the docks to the nearest post office in a covered wagon or cart bearing the inscription, “Post Office Mail.” In the summer of 1852, the Kingston British Daily Whig reported that mail could travel from Upper Canada to Québec in just 23 hours. At that time, Belleville received daily mail by steamer. 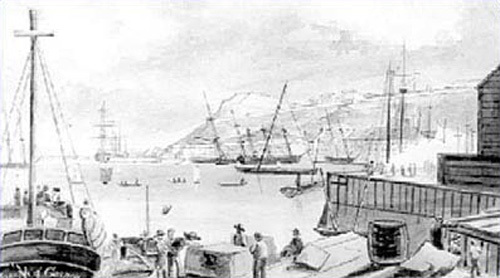 In 1853, the town of Hamilton received its mail by steamer as well. On land, stagecoach owners and operators counted on both passengers and mail to keep their businesses afloat. References to the operation of passenger and mail stages between Fredericton and Saint John date back to the 1780s and the early 1800s. The movement of mail and passengers on and off the island of Montréal also brought together the interests of stageline operators, postmasters and innkeepers. In the Montréal area, private systems of mail transport operated as well. One such system was established in 1808 between the north shore village of Terrebonne and Montréal. The contractor was authorized to carry passengers, freight and mail on his stagecoaches or bonnes voitures. However, he was specifically instructed not to carry oral messages or messages de vive, that could hurt the interests of his clients. This suggested that an entire load of oral messages was carried in the wagons along with the freight, the passengers and the mail. A seemingly banal event in 1853, the robbery of the Halifax-Pictou mail coach, illustrates how stagecoaches were used. On this occasion, thieves stole the private luggage of a female traveller. In her trunk was several hundred pounds in coins and a certain amount of mail. Much of the stolen mail consisted of newspapers, apparently a commodity worth stealing and shows that newspaper publishers were frequent users of the postal system. By the 1830s and 1840s, newspaper publishers could not afford to rely only on the informal network of mail to reach his customers. The publisher could ask willing passengers to carry copies of newspapers free of charge. However, he could never be entirely sure that the newspapers would be delivered to his subscribers. Yet, this is exactly what happened to Edmund Ward, the New Brunswick and Nova Scotia newspaper publisher, in the winter of 1843. Due to a lack of passengers to carry his newspapers, he was left with no means to distribute the February edition of his paper to his readers living in Charlotte County, New Brunswick. The only alternative was to send the newspapers through the postal system. In 1849, the Parliament Buildings of the province of Canada in Montreal were destroyed by an angry mob. The crowd that gathered on the night of April 25, 1849, to burn down the legislature responded to a Tory-minded call to action that appeared in the Montréal Gazette. In this instance, the newspaper ignited a feeling of resentment among certain Montréalers who felt betrayed by British officials. The press had become an important factor in the articulation of public opinion. How did the press get its messages out? Through the post. Advertisement for the Montreal Gazette that appeared in the Bytown Gazette, September 27, 1837. At the time, it was common for one newspaper to advertise in the columns of another newspaper. The Montreal Gazette, for example, was delivered to city dwellers by teams of delivery boys. For readers in the rural areas, i.e., in the Eastern Townships, the postal service delivered the paper. In Nova Scotia as in Lower Canada, the mails were important to the newspaper business. Petitions from readers were presented to the colonial legislature to express their frustration with the lack of postal service. The inhabitants of Parrsboro, Nova Scotia, argued for better postal service “on account of letter[s] and of their American and New Brunswick newspapers.” The citizens of Five-Mile Village, Nova Scotia, requested a new postal route on the grounds so that they could safely receive and send their letters and newspapers. Certain inhabitants of the County of Cumberland were “virtually denied the privilege of taking newspapers” because of the lack of regular postal service nine months of the year. Masthead of La Minerve, September 6, 1827. Publisher Ludger Duvernay could count on a network of agents to assist in the distribution of his newspaper. The postal service was a necessity for newspaper publishers throughout British North America, not only because of the access it provided to readers. For Canadian publishers, the newspaper postal exchange was a vital means of sharing information with other publishers. By this convention, newspaper editors could receive single copies of all colonial newspapers free of postage. Around 1840, there may have been as many as 156,000 copies of such newspapers circulating in the mails of British North America. The result was a uniform pattern of news reporting working its way like a chain-reaction from one city to the next. If, for example, a fire occurred in one town, that city’s newspaper reports would soon appear in another town’s newspaper. And so on down the line, the same article was copied again and again, sometimes with some embellishment of the story. Although the post was doubly important to the newspaper industry, the publishers were reluctant to pay the cost of the postal service. They believed that the subscribers, not the newspaper publishers, should pay the four to five shillings it cost to post each newspaper. They argued in an 1829 petition before a colonial legislature that the cost was a “great drawback on the diffusion of knowledge.” They were angered by the fact that the revenues were used to enrich the salary of the Deputy Postmaster General instead of being used to improve the postal system. Small wonder then that publishers were at the forefront of the movement for postal reform and that the Deputy Postmaster General at the time, Thomas Allen Stayner, was a prime target of their wrath. Postal reformers demanded a reduction in postage within the colonies and not just on newspapers. It was often noted in the newspapers that it cost less to send a letter from Britain to Halifax, than from Halifax to Toronto. The consistent, cheaper postage in Britain that came with the introduction of the postage stamp in 1840 did not go unnoticed in British North America. The colonials also demanded a postal authority that would be responsible to each of the colonial legislatures. Their wish to control their own postal affairs was part of a more general movement toward responsible government. Reform-minded colonials sought to take control of their political affairs from British officials who often acted without consulting with the colonials. Pressure on the British to give up control of the colonies increased noticeably during this decade. Demands and petitions in favour of postal reform appeared in colonial newspapers alongside the more spectacular demands in favour of responsible government. Postal agitation spilled over into the respective legislatures of the colonies gathering force, in particular, during the 1840s. Local chambers of commerce and business groups became involved. Indeed, much of the literate elite of British North America was made aware of the need for reform in the relationship with Britain. In practical terms, it simply was not convenient for the post office to be run by outside imperial officials who were not responsive to colonial needs. Herein lies the special significance of postal reform in the larger context of political reform. The concept of responsible government was, of course, more radical and spectacular, and the matter of postal reform may have appeared at first as just a detail. But, it was an ever-present and recurring detail pushing the colonists in the direction of self-government. In 1846, the election to power in England of a new Whig government opened the door to postal reform and responsible government in British North America. In 1847, representatives from each of the colonial governments met in Montréal to hammer out a common platform of postal reform and postal home rule. The resulting report was subsequently approved in the respective legislatures. Each province was to control its own post office department. The arrangement also called for a uniform rate of postage between the provinces. Final imperial approval came in July 1849. It took about two years to implement the transfer. Beginning in 1851, the Postmaster General, who was a ranking member of cabinet, took over the management of postal affairs in each of the three provinces. The provinces of Canada, New Brunswick and Nova Scotia each introduced their own postage stamps. After many decades of agitation and reform, these little pieces of paper represented a significant political achievement. This notice was inserted by the Deputy Postmaster General in the Montreal Gazette, April 7, 1841. It was among the last articles of business performed by this official appointed by imperial officials. He was soon replaced by a member of cabinet chosen from the majority party of the legislature of the province of Canada. The demand for an efficient postal system controlled by the colonies had come after decades of cultural change, economic growth and transport development. During the first half of the 19th century, the colonies of British North America were gradually tying themselves together. They read each other’s papers. They traded and often visited with one another. Their transportation system aided integration and moved the mail. To some extent, expectations of the postal system undermined their unquestioning loyalty to Queen and England. The inhabitants of Nova Scotia, New Brunswick, and Upper and Lower Canada, or their elites, were involved in wresting power from British officials. The result was neither predestined nor inevitable. Some of these colonial building blocks could be fitted together with ease. Others less so. Today, we are still living with the consequences of this imperfect process. On the other hand, the confrontation with the imperial power—played out on the postal level as well as on the political level—was both irreversible and perhaps inevitable. The post played an important role in this exercise of colonial self-awakening. It was very much a part of the effort to become something other than a mere dependent of Britain. Bercuson, David J. et al. Colonies: Canada to 1867. Toronto: McGraw-Hill Ryerson Canada, 1992. Dauphin, Cécile et al. Ces bonnes lettres : Une correspondance familiale au XIXe siècle, (Histoire). Paris: Albin Michel, 1995. Gadoury, Lorraine. La famille dans son intimité : échange épistolaires au sein de l’élite canadienne du XVIIIe siècle. Montréal: Hurtubise HMH, 1998. Goheen, Peter. “Canadian Communications circa 1845.” In Geographical Review, 77,1 (January 1987), pp. 35-51. Goheen, Peter. “Communications and Newsmaking before the Telegraph: The Story of the 1845 Quebec City Fires.” In The Canadian Geographer 37, 3 (Fall 1993), pp. 230-242. Harrison, Jane. Until Next Year: Letter Writing and the Mails in the Canadas, 1640-1830. Hull: Canadian Museum of Civilization and Wilfrid Laurier University Press, 1987. McIntyre, Sheila. “My Affections Must Take my Pen: Female Correspondence in Early New England.” Unpublished ms. delivered at the Annual Meeting of the Canadian Historical Association, 1998. Noël, Françoise. “Note de recherche : My Dear Eliza: The Letters of Robert Hoyle, 1831-1844.” In Histoire sociale/Social History 26, 51 (mai/May 1993), pp. 115-130. Rutherford, Paul. The Making of the Canadian Media. Toronto: McGraw-Hill Ryerson, 1978. Smith, William. The History of the Post Office in British North America. Cambridge, England: CambridgeUniversity Press, 1920. Willis, John. “The Canadian Colonial Posts: Epistolary Continuity, Postal Transformation.” Unpublished ms., publication forthcoming. Correspondence of Thomas Allen Stayner in the National Archives of Canada, Records of the Post Office and Canada Post, Record Group no. 3. Various colonial newspapers of the late 18th and early 19th centuries in Montréal, Toronto, Kingston, Bytown (Ottawa), Saint John and Halifax contain lots of material some benign, some critical on postal matters.